Have you ventured properly into the desert yet? Weird things can happen out there. Thanks guys (on the previous page) I think I probably will try Skyrimm at some point. I'd been interested in looking into other world rpg's similar to BotW if anyone has any other suggestions too. Last edited by Cruizer on Sun Jan 21, 2018 10:18 pm, edited 1 time in total. Considering I had an almost eight hour marathon on it yesterday, you know it's got to be doing something good. Just started Chapter 8 of Xenoblade 2. If I had to criticise the story of this game so far, it would be that just about every major plot twist so far has been [insert character here] isn't human but is actually a Blade. 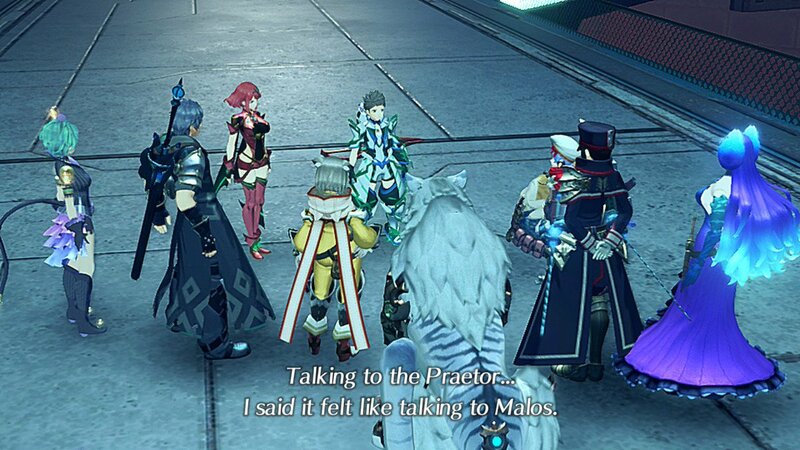 Malos is an Aegis, Jin's a Blade, the other Torna guys are Flesh Eaters, Zeke is a "Blade Eater", even Nia is a Blade which was a pretty out there twist even if there were hints at it looking back. Also the end of Chapter 7 boss had a pretty sudden level jump for me so had to get back and farm bonus experience to get the team up to level 56 to be able to take him on. Recent events make me a bit unsure as to what my future party composition will be, as the game has basically made Rex able to use every single blade in the game. Fair enough, he's the protagonist so he was obviously gets some priviledges but even so. I also think Rex as a protagnist is very weak, generic and overdone. He's a young orphan who is very naive and idiotic and believes in "the power of friendship". The only thing that makes Rex different from any other Japanese protagnist that has EXACTLY the same kind of characteristics as Rex is his "salvager" background. Otherwise, you could put Rex's characteristics besides someone like Sora from Kingdom Hearts and struggle to tell the difference. Gone back to Street Fighter V as it's recently been updated with a load of new content, after nearly two years the game is finally complete. It's far too easy to do this on games like Skyrim, just get hooked and before you know it hours have passed. Anyway just about finished Pokémon Gold (already pre bought Crystal though, never played this version to the end, I started an online emulator a while back but it didn't feel right), just got 2 Kanto gyms to beat, grind until all my main Pokémon are level 60 ish and hopefully beat Red on my first attempt. With an Amphros I should be able to take a few hits from his Pikachu. Completed the Telltale Batman season 1 and I really enjoyed it, the Batman parts were ace and it was nice too see more of Bruce Wayne and the man he is behind the suit. And it was also had plenty of cool twists, might have to get the second series. Also been trying a bit more of Ever Oasis and I've just completed the first temple and I'm really enjoying it. The game does feel like a nice mix of Monster Hunter and Animal Crossing and it's looks beautiful to boot, shame it came out so late in the 3DS lifespan as it'll probably be overlooked. 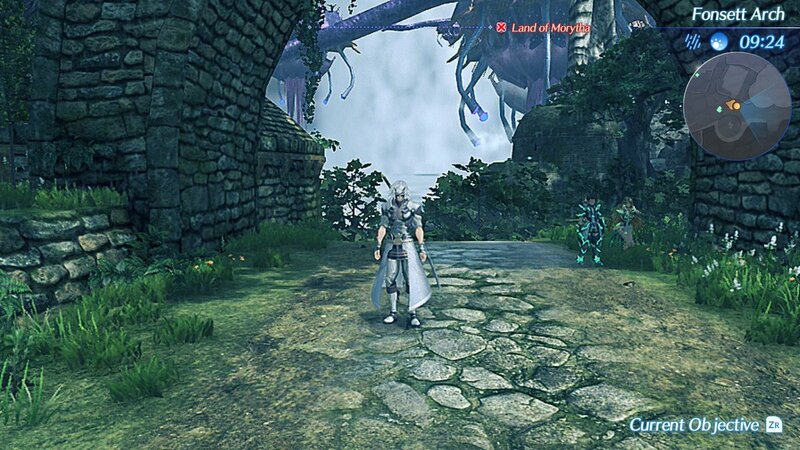 OK, as Chapter 8 of Xenoblade 2 has progressed and I got to explore the environment, I feel that this game is really starting to hit it's peak in terms of storyline now. So, underneath the fantasy world turns out to be a human city. An actual human city which has been completely devastated and it's inhabitants turned into mutants. The Torna Titan has crash landed in it and you get to explore said Titan for a very brief moment and then Jin tells you that Titans are actually reformed Blades. The reason for the Titans dying out in the first place? The Pratorium is keeping all the core crystals in check to prevent new Titans from ever showing up. Who is Malos' driver? The Praetor. Malos is the Endbringer Aegis who wants to wipe out all of humanity and from what I can see now, his driver shares the same desire. 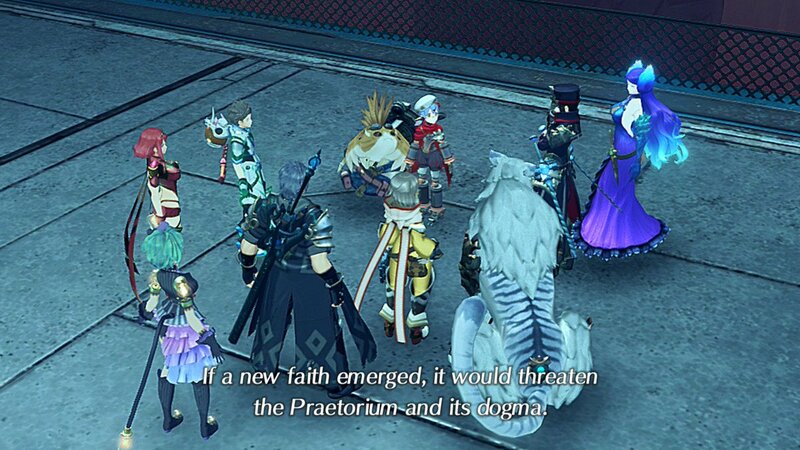 ...it looks like the true villain and probable final boss is in fact the Praetor Amalthus. It appears that Amalthus wants to destroy the entire world and that is why he is letting the Titans die out. He's also seemingly a bit of a religious dictator and doesn't want anyone to turn away from the Praetorium (again, kind of underlining this whole anti-religoius stance the Xeno series has going on). I don't know anymore than this though, Indol has just become inaccessible for the rest of the game the last time I played. Oh yeah and the World Tree is in fact a mechanical sci-fi tower which just so happens to have vegetation growing around it. And you enter it in Chapter 8. The World Tree just so happens to be my current location. Xenoblade 2 has a storyline which eventually takes a turn for compelling storytelling in line with the first game... it's just such a shame that the story takes so long to get to the really good stuff. Me too. Lovely little game. Hoping for EO2 on the Switch with co-operative multiplayer. XC2 was £30 on Argos' site, so I had it delivered today. I've only dipped a toe in so far, but hoo boy, that voice acting. JP voice pack for me, thanks. Surely I'm not the only one who doesn't mind the English voice acting? Granted I'm not that far into the game as of yet but so far its decent (just about to start chapter 3 for reference). Anyway Started Crystal, picked Cyndaquil as I very rarely opt for Cyndaquil. Going to pick up a Phanphy in the morning which will be called Dumbo and I've just picked up a Zubat, named Sir Swoop. Not nicknamed my Cyndaquil as I couldn't think of anything right now. Not sure who else to go for as of yet, will see what pops out of that egg. I actually think the voice acting is half decent and the characters have a lot of personality to them. OK, you could argue that their personality is different from in the Japanese version but... 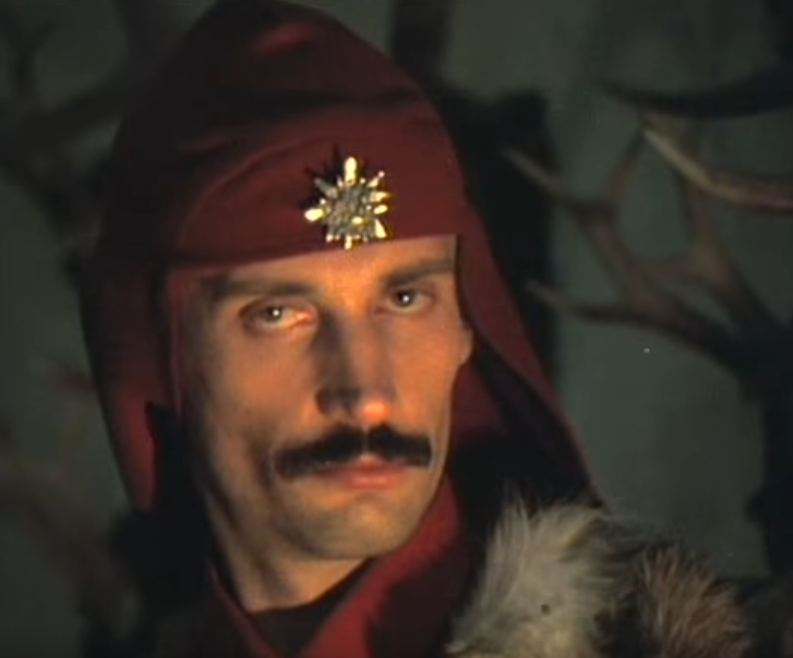 I think the actors for the most part do a good job of portraying their characters. Also this is the only video game I can think of that has a Welsh voice actress as part of it's main cast so there is that. Amalthus has revealed himself to be a Master Driver like Rex and the true villain. He is apparently acting on order of the Architect but seems intent to wipe out everything. He can even control Mythra! I mean I'll give it a chance, but seeing a very typically designed, bug-eyed JRPG protagonist come out with that "Ee, by gum, ah could reet murder an 'ot pot" Yorkshire accent is incredibly jarring to me. Anyway Phanphy is caught, just training them uo a few levels now as both Phanphy and Zubat were caught on level 2. That's fair enough, but one thing I will give the localisation credit for is that they've tried to make each titan's inhabitants feel unique by giving them different regional accents. At any rate, Rex is one of the weakest characters in the game imo, I dropped him from the party about halfway through and he's only ever come back into it for story related fights when needed. Otherwise I've stuck with my three favourites though you don't really get an option until Chapter 3 to use anyone other than who you're given. The storyline does take quite a while to get going though, it does a lot of what X did by spending it's first half introducing all the world's concepts to you without too much exciting happening but then things get more and more intense as you go along.